When you move your site to ssl, you have to adjust your settings in Google Analytics and Google Webmaster Tools/Search Console accordingly. It’s not much work, but it’s important you fix it. In short, you need to set your primary domain in both Webmaster Tools as in Google analytics to your https domain. I’ll discuss Search Console first, but it really doesn’t matter in which order you do it. In Google Search Console (Google Webmaster Tools), you should add a new property for the https:// variant of your domain. Near the top-left corner of Search Console, next to your current property, click on the downwards pointing arrow to show the ‘Add property’ button. This button will appear on the bottom of the dropdown menu. After clicking ‘Add property’ a popup should appear, here you can enter your domain with https://www. If your site uses https:// without www, enter https://. The domain should match the one in the general settings of WordPress, the site url. That’s all you need to do in your Webmaster Tools / Search Console setup. Now when you want to do something in Webmaster Tools / Search Console, just use the https://(www) property. 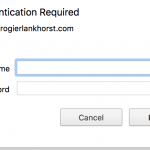 After you move to SSL, you should change your domain in Google Analytics to https. This way, GA starts registering your hits again. I would recommend using the .htaccess redirect if you’re on apache. GA might not register hits if the site is not redirecting properly to https. The language on the screenshots is not English, but it will look the same in English. To update the GA settings, in Google Analytics, first go to your website dashboard, and click the cogwheel at the bottom, “Admin” . Now there are two urls that need to be changed. For tracking, only the url under “view settings” appears to be important, but I would change both anyway. So first, click “property settings”, and change the default url. Then click “view settings” and change the website url. That’s it! Your site is now correctly configured for SSL. If Really Simple SSL fixed your issues and/or saved you time, you might consider buying the premium plugin to support the continuing development of the plugin. You’ll get some great additional features, like HTTP strict Transport Security, the SSL certificate expiration warning and premium support. 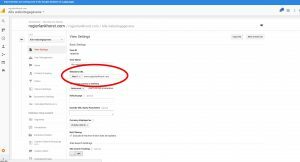 If you experience any issues with your sitemap after migrating to SSL while using the Yoast SEO plugin, you can disable and enable the Yoast plugin once. That will change all links in the sitemap to https://. Reading that article, I’d agree that Google does it’s ranking of http and https automatically, but in Google Search Console, you are encouraged to 1) add all versions of your site, and 2) set a preferred domain. See also this article of Google https://support.google.com/webmasters/answer/34592?hl=en. To select the https variant, add it first as site, then set it as preferred domain. 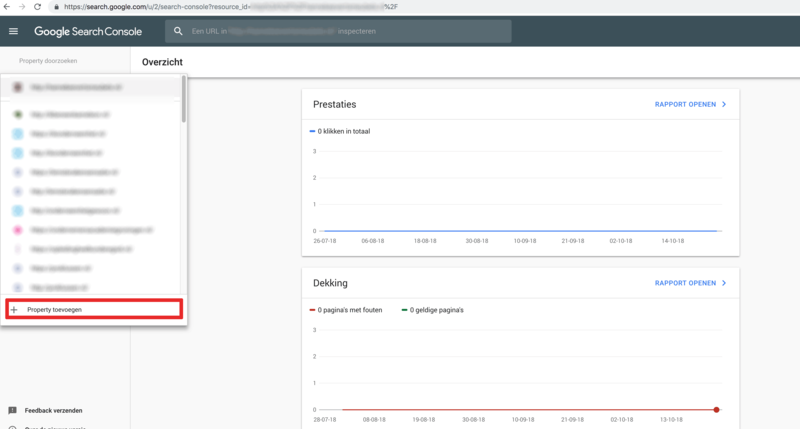 If I previously added my site to Google Search console as http, so I have to make an entirely new entry in Google Search console to add it as https? I hate that, now I have 4 properties in search console for just one website. New in search console is that you can group properties, which is a great improvement. why are we encouraged to do this – does it help seo? this is mainly done because it is a best practice defined by Google. This way Google knows what your main domain is and setting up the multiple domains ensures you don’t miss any hits on your website which came through another domain than your primary. Please check if you have a correct 301 redirect: http://www.redirect-checker.org/. If that is the case, and you have followed the instructions in this article, your visitors should be back to normal in a few days. Thank you so much, Rogier! This was a fantastic article, super easy, and very helpful! So grateful to you for all your work and services! Does it matter whether I change the domain to https in Google Analytics first or Search Console first? Looking at the screen shots it looks like search console was done first but I want to be sure. No, the order doesn’t matter. I was change to https by let’s encrypt, but when I browse to my website, it does not appear blue locks. Pls help me. Tks. Even though I didn’t change this yet in Google Analytics, it does still count views on my website. One question I do have is, if I change http to https in GA, will I loose the historical analytics of the http address? On the sites I did the migration for, the historical data is kept after the change to https. Even if your hits are still registered, it’s better to let Google know what your primary url is. At the Google Search Console, I only got to enter the first variant of my site’s name and now I don’t understand how to verify it or how t enter the other versions. Such as http://www..etc or https:… I’m not understanding the Google Analytics portion of how to proceed with the real simple SSL plug in? Please help? You can just add a new property in Google Search Console. I’ve added a link to Google instructions how to do this to the article. As for Google Analytics, if you follow the steps described in the article, you should be fine. Is there anything in these steps that is not clear? 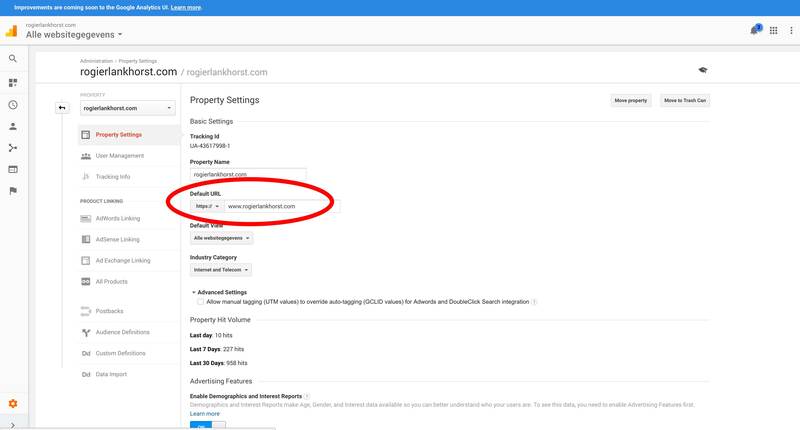 There’s one thing I would add, Rogier – and that would be to update the property association near the bottom of the Property screen via “Adjust Search Console.” You’ll have to delete the existing association and add the new https property. at least, that’s what I’m seeing. thanks for the suggestion and indeed the choice is between www and non-www, I’ve updated the article. Thanks! Thanks for the article! One question: Do we have to add a new property in Google Analytics with https instead? Or is making the switch from http to https as you described here all we need to do? I followed the article, and in analytics it still shows at the top http://mydomain.com instead of https. Is this normal? I have it set to https as you showed here but just want to clarify that this is all I need to do, or if I should add another property in analytics. Your clarification will be appreciated!! It sounds like you’ve done it right. Is it possible the name of your property is “http://domain.com”? the name doesn’t have to contain the protocol, it’s just a descriptive name. Hello, i already add all 4 variant URL to Webmaster and those are verified. But…i don’t know how to set one of the https domains as “preferred domain”. Can you help please ? I’ve updated the article with instructions how to set a domain as preferred domain. One question tho: after reactivating the plugin in WP 4.7.1, the “SSL activated! 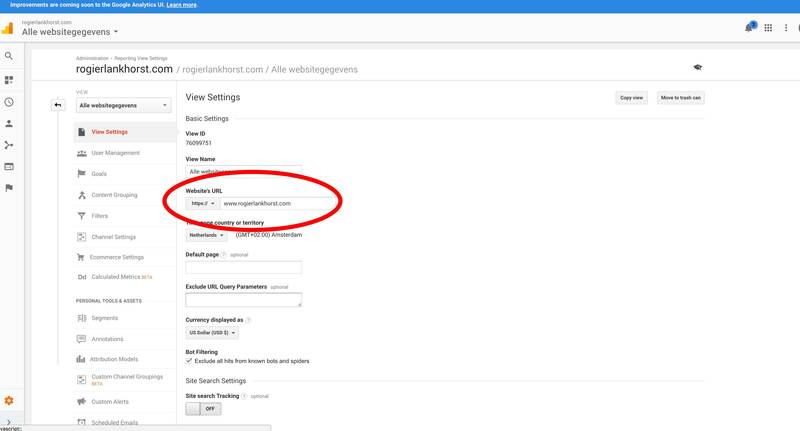 Don’t forget to change your settings in Google Analytics en Webmaster tools. More info.” message in my admin section has lost it’s x to close it. I’m very happy it’s all working, but I’d like to get rid of the message 😉 Saving the settings didn’t help. I have tested it with the latest beta release from WordPress, and it works without problems. In some cases the x is hidden behind the “help” dropdown. its true if using ssl/https, we can using histats? I don’t really know histats, but I wouldn’t know why not. Nice plug in. Thanks for explanation on how to update console and analytics. Amazing piece of information right here. Thank you so much! Erg bedank Rogier, er zijn veel mensen dier dit vergeten. Thanks Rogier for this wonderful plugin, just followed the link via the plugin and i gained alot of knowledge regarding the SSL certificate and verification on google. Going to google webmaster tools to ensure everything is verified. First of all, thanks a lot for making such a wonderful plugin. I used clouflare free ssl & then installed your plugin. Everything is working fine as of now. So, do I need to change anything in Htaccess file? I checked your redirect on the http domain, it is already 301 redirected. So you’re fine. Seems my site is SSL Safe on the backend (dashboard) but not on the front end? I can see a 301 redirect to https, and a nice secure lock on your site. Looks fine to me! I understood that I must create property all my URLs in case 4. Well, my site had as main URL http: // www on it was my site map and my international follow up. Now my main URL is https: // www and here is my question. Do I have to leave the map site in the new URL and do the international follow-up configuration only for https: // www? Yes, I would reset all these to your new url, that’s the best. After switching to https I see my website disappearing from Google searches. normally are back in Google in a few days. Can you mail me the domain at rogier (at) really-simple-ssl.com? Sent with subject: My domains. Hello Rogier! My sites are already normalizing and increasing in Google searches. Already started to have an increase of more than 50%. Thank you very much. Hi and thanks for your plugin, work well, easily installed SSL, but now i lose over 50% of my traffic, and some keyword drop, any suggestion to fix ? How to Fix website are ready in google console?? You can just add the https://www.domain.com and https://domain.com properties to the existing ones. So should I just pick domain.com without https as the preferered domain? Yes, you’re right. Just choose the domain that reflects your home_url in WordPress. So if your site is https://domain.com, choose domain.com as preferred domain. Thank you for this article and this plugin. That plugin was recommended by GoDaddy when I migrated 5 domains under SSL and it worked successfully. note : i didnot put ant international target but i found that this site put to preferd domain www. In my experience a site will drop from rankings for a few days after moving to SSL. Then it’s back again. I found it working cool but all my facebook shares and pins are gone from post. I am afraid all that vanish as it all done to http:// ? I have checked through http://www.redirect-checker.org/index.php as it said everything is fine. Can you guide me little bit, don’t want to loose my sharing stats, as it is very good for new visitors. Really simple SSL worked immediately! I had previously tried to get a result with just using plugin Insecure content fixer…that didnt work at all. so this is fantastic Then in the search console I followed your above instructions to add another property for the https version. I also changed the protocol in analytics. It seemed to generate another duplicate verification number…I thought it would be different…but I uploaded that, just overwrote the file. Then I could not set the preferred version to https. it now says I have to reverify the http version but not sure how to regenerate that again … and then just to complicate matters, (I do have a multi-site) in my yoast, I tried to generate a new sitemap but it went to a 404 page. umm. Any ideas would be gratefully accepted. Oh and you will see pageIDs in my site because the theme HeatMap got stuck and I could not activate the template I wanted, using postname permalink. But that is another issue so just ignore that.. thanks! To verify your site you can in most cases just click “verify” in Google analytics. As you already have done so before, you will still have the html file on your site. As for the 404, try re-saving the permalinks in settings/permalinks, or just retry it in Yoast. We have all 4 variants submitted into Search Console (http://, https://, http://www, https://www). My question is specific to selecting the preferred domain. Within my preferred profile (https://), I will select my preferred domain as mysite.com. But in the case of the other 3 profiles, does this mean i need to use the ‘Don’t set a preferred domain’. Even though it’s not differentiated within Search Console to use the https:// version of our site. At the moment I have all 4 profiles setting the preferred domain as mysite.com and I just wasn’t sure if I need to change this given which profile it stems from? Or if this even matters? I would set the preferred domain for all properties, just to make sure. Thank You so much you solved my problem .Very easy and good article. Very sincerely Thanks Rogier Lankhorst for such an elaborate and easy to implement article on the subject. It helped me a lot in a successful migration from http to https. When I go to the search console it tells me to download a file after I’ve put my domain in. Where do I upload the file in Workpress? You can just put it in the root of your site, where you see the wp-config.php file as well. I do not know where to find that. 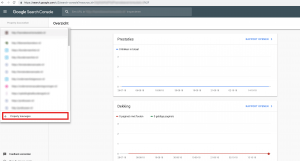 You need to connect to your site using FTP, then you can look for the folder where the wordpress files are, like wp-config.php, wp-content, etc. That is the web root. Thanks. This is greek to me. I’m totally lost. See this site for more information on connecting with FTP. Otherwise you can contact support of your hosting company. Thanks for the article, it was exactly what I was looking for! i have added all 4 variations for examp;le, 1- https://www,domain.com 2- https://domain.com, 3- http://www.domain.com and 4- http://domain.com. Kindly assist me, on which propertly i have to set my preffered domain? Thanks. It’s best to choose the domain used when you load the website. This is configured in settings/general. Just one question about the Plugin Redirect. I use a http://www.domain.de. So it takes two Redirects from http:// to https:// to https://www.domain.de. Is there any way to fix this to one redirect? So the http:// directly goes to https://www. Do i have to simply put the second code below the normal https redirection or do i have to just use the code alone? If you put it at the top of the .htaccess, it will work best. Okay thanks Rogier, it worked perfect. How about the different verification codes? I have verified the https property with a meta tag and put this code in the Yoast plugin. This is ok. I cannot set the prefered domain yet, so I guess I need to add the other properties too. You can use the same verification code for all properties on one website, so if you verified one, the rest can be added quickly. Really helpfull article Thank you so much. On your screenshots from GA you change View settings, but not Property ones. Should I change to ‘https’ in Property Settings too? Or is View enough? Hi Vasily, I think it’s best to change both of them. Thanks for the analytics walk through. Would have forgotten that step otherwise. Thanks for helping us 🙂 Can you check my site if im doing the right thing? Is it supposed to be redirecting to different sites? Those results are all resources that are loaded by your site. You have some ads loading, these URLs contain redirects. There’s nothing you can do about that, apart from removing the ads. Thanks for your info, very helpful. I have a question for you. I see you change the protocol to https in Google Analytics/View Settings/Website’s URL. How about this in Google Analytics/Property Settings/Default URL? Do you also change from http:// to https:// there? I think it is best to change that one also, so I have updated the screenshots and instructions to match. Thanks for the feedback. it seems your site is working fine over https://. Do you use any caching plugins? You could try clearing and/or disabling those. You could also try to use one of the other methods listed on https://support.google.com/webmasters/answer/35179?hl=en to verify ownership. If you keep experiencing problems I would suggest to contact Google about this. I recently added https and https://www properties in Console and my admin advised me to delete old ones, http and http://www, so I deleted them… and I have second thoughts, especially because I have issues when posting articles on my Facebook page. After deleting the 2 old properties (http and http://www), can I add them again? Yes, you should be able to add them again. Few things; It’s a multisite so that fix isn’t very efficient. Yours is one of two plugins out of several that have this problem. The other is wp-spamshield but several other plugins, I can click and it goes away for good so there’s something there. Lastly, it’s a bit of an unnecessary, proactive message. While I appreciate the effort, and I don’t mean to sounds rude, but what business is it of yours whether I keep google up to date? Especially since your plugin isn’t an seo plugin. WP-spamshield, same thing. Warning about a bug in the wp core. Nothing to do with spam. One good thing about plugins like yours and Scott’s is that they stayed out of the way and did their jobs. We like that. No longer the case maybe? Having messages the pop up that keep popping up after dismissal for admins is not the best thing on a multisite. As for your question why this message is there: this message has been added simply to lower the number of questions I get from people who did not do this, and see their hits drop, and ask me how Really Simple SSL has caused this. This saves me a lot of time. Which means it clearly answers a question for a lot of people. Moving from HTTP to HTTPS is it really effect the search consol/webmaster tool and AdSense? I don’t know about AdSense, but it affects analytics, and Google recommends to add all 4 variations to the Search Console. Thank you sir, I will work on it. I use it on two sites. I had changed over to SSL and saw a decrease in impressions and did lots of searches to try and figure out what I did wrong. I found your article to extremely helpful…Thanks for the article! could you please explain what you want to achieve? Many thanks for this explanation! I could appreciate a decrease in WMT, but not that much in Google Analytics, does it has the same effect in both (not changing to https)? Because in Analytics still counting some visits..
How the visits are counted seems to depend largely on the request url => a https request might not get counted when GA is set as http. Great tutorial , Can you please make another tutorial of making free SSL certificates using cloudflare or any other networks? Do I need to change my /sitemap_index.xml of wordpress site once really simple plug in installed. I am using free Yoast plug in for site map links. after installing really simple plug in and cloud fare free plug in, site map contains htpp links in google webmaster. I have added https://gokarnapuja.com/ as new property in google webmaster. But my website shows https. correctly. 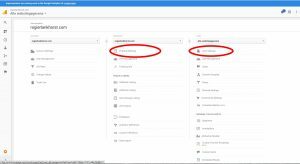 Yoast should regenerate the sitemap when you visit the settings page from yoast. That should fix the http links in the sitemap. I was really looking for a detailed step by step guide to do this because I was really confused about doing this. Keep posting good stuff. Cheers. Hello i have activated SSL on my website but, when i open my website without Https it will open normally and when i just open it with https. It also load normally. Please suggest me where i have to do changes so it will open with https and do i need to change my sitemaps also?? But Can you please tell me, using a free SSL for website is safe? Because i just asked some of bloggers they says free SSL is not Safe. You mean like let’s encrypt? Sure, let’s encrypt is safe. Already did it but I have some problem when I’m adding https domain in webmaster tools.. Its need new verification.. But i always fail adding new txt record on my dns domain.. Very nice! Thanks for help! If you disable the plugin, again the problem is coming up. How to solve it. what sort of problems are you experiencing? Normally when you disable the plugin your site reverts to http://. If that’s what you want, you’d need to make those changes in analytics and search console as well. Hi everyone, my site is over 10 posts, should not declare to google search right? If the penalty is google, how to do? I have reinstalled the plugins to fix this issue. Thanks. Sir, I’m Little confused over here, when I add the SSL to my website, then go to google webmaster and add it there, Do I have to delete the old one from google webmaster ? or keep them both in Google webmaster ? is this going to cause a duplicated content ? since I have add the XML Sitemap for both one with SSL the old one without SSL ? you should keep all four version of your domain, http://, http://www, https:// and https://www. You can set the https:// one as the primary domain. You could bundle these four properties into one set. i used https:// but in analytics not change anything? have you set the primary property to https://? Could you explain a little bit more about what is not changing? Thanks. Many thanks for the wonderful plugin. It works!!! I was wondering what would happen after the plugin’s work is complete, does anything get reset if the plugin is deleted after its work is complete? My website has ssl installed on it. I have to add my property as https://domain.com or i have to add both https://www.domain.com ,https://domain.com ? you should add all four domain variations as properties and select the https:// one as the preferred domain. 2nd Question : Should i aldo have to add http version as my property ? IF yes than how to handle meta tag issue? Https has a different meta tag and Http has different ? see the previous answer, you should add http://, http://www, https:// and https://www to your properties and select the https:// one as the primary property. As far as I’m aware, there are no issues with meta tags. So do I use one google analytics account? I would personally just move it in one go. 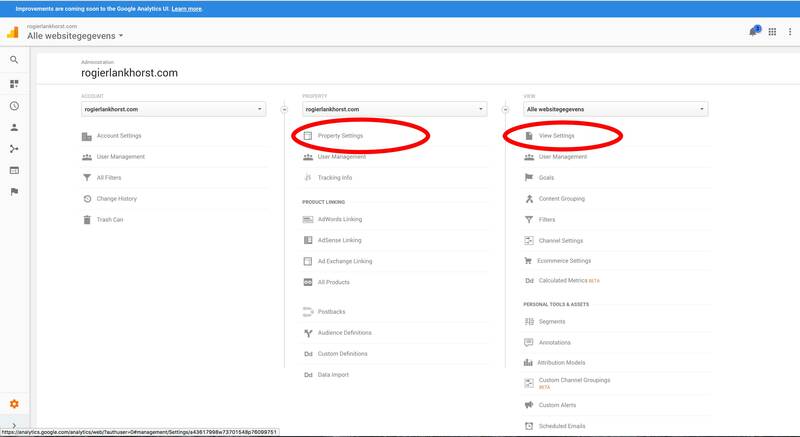 But that’s not what you want: as far as I know, there’s no option to add two domains to google analytics, so if you want to track two domains at the same time, you will have to create a new account. “create a set” and verify the https site, suddenly my site is shown as “Not secure” and I couldn’t log in to my wordpress anymore. What’s possibly gone wrong? that’s strange, while the timing makes it look like it these events are unrelated. Do you still experience issues? Your site seems to be working fine for me. Have you tried clearing your browsers cache? Let me know if you still experience issues. I’ve just installed the plugin and converted to HTTPS. Something I’m not quite sure of is: Do I still need to do a 301 redirect from old URLs to https or does “really simple ssl” do that autimatically? That is handled automatically with the default wp redirect. I recommend to enable the .htaccess redirect as well, which is faster. Hi Rogier, I have installed your plugin and I am using Cloudflare which does http redirects etc. Everything works. Do i need to update robots.txt and sitemap.xml which points to https site? Usually the sitemap updates automatically. But it doesn’t hurt to check of course. Thanks Rogier, as long if i updated them files, hope it doesn’t cause any issues. Do I need to ‘Request indexing > Crawl this URL and its direct links’ for all 4 properties in GWT? you can let Google crawl your primary property, the other properties will be redirected to this one. if you don’t change it, Google won’t know your site has moved to https://. Therefore it’s important to update this setting. I have followed these steps to the letter. Quite straight forward I must say – Thank you so much for taking your time. How much does it affect ranking? I’m unable to tell you how much it will affect your ranking exactly, however to my knowledge Google does provide a small bonus for sites on SSL. If your site is up and running on SSL and you’ve made these changes there’s nothing else you need to do. Hello everyone , i just got my new SSL , but i am finding new error and re-directly issue , i had fix the above task in google webmaster & WA but i more curious to know is there any changes i need to bring in my WordPress account & cpanel , i am afraid of losing my ranking in google with the updated https://arslanenginery dot com , i am really in need of help , please guide me. Thanks in advance . 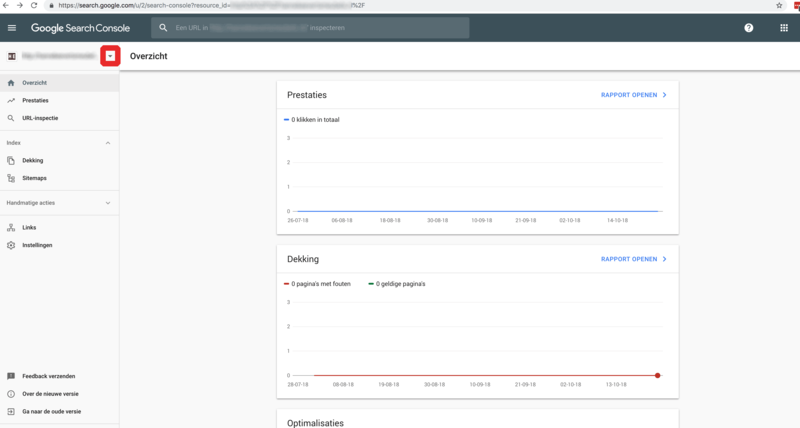 if you have made the changes to Google search console and webmaster and the plugin is active there’s nothing more you have to do in WordPress or Cpanel. Google will know your site is on https:// now, it might take a few days to adapt but you won’t lose any ranking because of it. Hey there – I just moved my first client’s to SSL today. I’m a bit confused with Google Analytics/Search Console so wanted to follow-up & make sure I did things correctly. 2) Went into Google Analytics & updated the “default URL” under “Property -> Property Settings” & under “View -> View Settings”. For example, if the website loads as http://www.domain.com, then I made the default URL as https://www.domain.com. Or if the site loads without WWW, then I made the default URL as https://domain.com. Did I do everything correctly? Anything I’m missing? I appreciate any feedback you have! For example, if the website loads as https://www.domain.com, then I made the default URL as https://www.domain.com. that’s correct, the changes you have made are the ones which need to be done. I deleted from Webmaster and added again with https://. Google encourages users to add the site with both http and https, and with both www and non www, as described in this article. I can’t say if not doing this affects SEO. Removing and adding again shouldn’t make any difference. Where is this “cogwheel at the bottom, ‘Admin'” that I am supposed to click on? I am using WordPress 4.9.1and I can’t find it on my dashboard. Makes updating my GA settings impossible, given the instructions. the cogwheel should be in the bottom left corner. It’s there to access the admin settings. 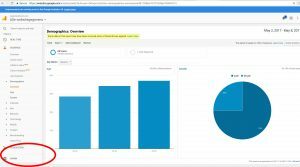 Do you have admin rights for Google Analytics? One of those mysteries of life: At the bottom left corner of my dashboard I see “AVH Extended Categories” then “Google Analytics” then “Link Library” then “MetaSlider” then “Collapse menu”. A little to the right it says “Thank you for creating with WordPress”. But no cogwheel. No “Admin”. As per admin rights for Google Analytics, I would assume I have those rights. I mean, I am the creator and sole administrator and manager for my website, https://aaagnostica.org, so I assuming GA admin rights would come with that. But, as I am sure you have probably determined by now Mark, I am not that technically savvy. Reading your reaction, I suspect you are looking at your wordpress dashboard. If you go to analytics.google.com, you will see the analytics dashboard. Hope that helps! Aargh. Okay, I am now in Google Analytics and found the cogwheel. I had to register. And now I have a different tracking ID than the one I see on my Google Analytics plugin settings. The one on my plugin is also for the http version of the site while the one on the Google Analytics site is for the https version of my website. Any suggestions? I will quit bugging you after this. I just need to find someone who can help me with all these technical issues…. I’d suggest to use the one that’s on the Google Analytics site. That should track all activity. Entering the code from the Google Analytics site in the plugin should update the tracking code on your website. when a site moves to https:// this is seen by search engines as a different site then the http:// version, while they both contain the same content. Therefore it’s advised to update the sitemap to use https://. If you use a plugin like Yoast this can be done automatically by disabling and re-enabling the Yoast plugin once. After setting up all above instructions still cloud-flare plugin not working properly. Hi Mazhar, this is a bit off topic here. Can you submit a support request or start a forum topic with some more information about your issue? Thank you so much, Rogier! This was a fantastic article, easy to understand and very helpful! So grateful to you for all your work. It is down for a couple of minutes, then it comes back up. It’s also not letting me login to WordPress while the website is down. Why is this happening and what should I do to fix it? what version of Firefox are you using? I’ve came across this article which suggests this might be solved by updating the browser: https://support.mozilla.org/questions/1043800. Let me know if this resolved your issue. Hey guys, i started new site and its https by default. Now i want to submit it to Google Search Console. I know i should add all 4 variations of the site but i’m keep hearing about some redirects. I’m not sure why i need those on new site that has originally indexed pages with HTTPS and it’s not moving from https to https. So should i just add the 4 variations and chose the preferred one and just leave it there or should i do something more? I’m not sure what to do cuz i’m new and i just keep hearing for these 301 or whatever redirects for unknown reason. What should i do? Is there any guide? you can add the 4 variations, just set https:// as the preferred one. A 301 redirect is added by Really Simple SSL to force all http:// requests to https://. Without it visitors can likely connect to the site over both http:// and https://. The reason it’s a 301 redirect is because a 301 redirect is permanent which is the best for SEO purposes. For more information about redirects see https://really-simple-ssl.com/knowledge-base/avoid-landing-page-redirects/. Thanks for the answer, however why would anyone type “http://mysite in the browser? I still don’t understand why do i need to install this plugin on fresh site that is already indexed and using ssl from the beginning. Just adding that preferred version to GC wont work? 1 – I have verified https version of my web site. but during verification I had to replace the google html code in ftp to verify https version. Did I lose the verification for http version of my site? 2 – I checked the site settings for both http and https to choose preferred domain as http://www.mysite.com or mysite.com, it gives me warning as bleow. 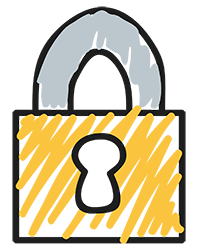 3 – The letsencryp SSL is now active on my pages with the help of you plugin. Bu only pages, when I click menus that are created with category links or single post the ssl is not active. What is the reason for that? Google states here https://support.google.com/webmasters/answer/35179?hl=en that removing the verification file from the site can cause the site to lose verification status. Is it possible for you the set https:// as the preferred domain? The http:// domain will have a permanent 301 redirect to https:// anyway, so https:// should become the preferred domain. The redirect added by Really Simple SSL should redirect all http:// requests to https://. What redirect option have you enabled in the plugin? We recommend to enable the .htaccess redirect option since it’s the fastest and most reliable. If you can provide me with your site address I might be able to provide you with more information about why the redirect isn’t working. Thanks for the great article. Just to check as i have updated my website to google webmaster with now having both https://www and http://www (my website was previously http://www). 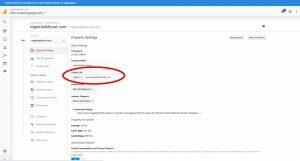 Do i need to add site link maps to my https://www on google webmaster? Any other things that i have to be aware when i add the https://www on google webmaster? Because i have set my website 301 redirect from http://www to https://www I still awaiting for google webmaster to show the results out for my https://www version. How long will it take to process and see the correct results? you can set the https:// domain as the preferred domain in. You can also regenerate the sitemap for https:// and resubmit it to Google. Once that has been done Google should process the change soon. How can I do this in my wordpress website. I’ve tried verifying using the “Insert Headers and Footers” plug in with no success. I’m wondering if it’s because I need to verify multiple domains? these above other 3 are not. you can verify the https:// domain, it’s possible the headers/footers method doesn’t work because of caching. In this case you can use for example HTML file verification, this will likely work. Your post mentions if this helped upgrade to premium. I am ready to upgrade to premium, but this did not help. My website still does not show the lock. If I purchase premium, can you help me to get my lock to display? My site is https://www.romonafoster.com. Usually running the scan in the pro plugin will show you any issues with the green lock, and if you still run into issues it gives you access to premium support, so you can rest assured we can fix your mixed content problem. Hey i have recently installed really simple ssl plugin from wordpress and installed free ssl using cloudflare, But i am facing a problem, seeing a red cross line over https;// verion of my site i have changed to http://www.onlinerechargetricks.com to https://www.onlinerechargetricks.com using plugin and cloudflare. I have clicked in red https:// cross and seen the certificate is valid to my old domain which was previously linked to my cloudflare account (But i removed and added this site(onlinerechargetricks), still why its showing certiface for my old domain? i am not able to understand what to do, to install certificate on my new domain. Your site loads just fine over https, possibly the issue has resolved itself. I installed myself but only installed 2 cases 1 is http: // https: // the other two I have not installed so good for the seo does not? you can set the preferred domain to use https://, that should be sufficient. Can someone guide me what could be the issue and what needs to be corrected?? The canonical URL seems to be set correctly, and the redirect to https is correct as well. 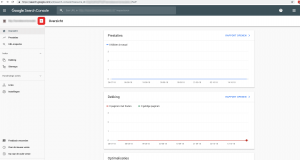 Do you have GA and search console configured as described in the article above?